This post is sponsored by Kohl's. I was paid for this post and received the included fragrances and perfumes as compensation. Holiday gifting can be an overwhelming task. Whether you are an experienced gift giver, or someone who gets overwhelmed at the thought of it, the pressure is all the same around the holidays. I'm a huge gift giver - it's my love language. I absolutely love personally selecting gifts that I think I loved ones will enjoy, and I live for watching their faces as they open them. If I could, I'd spend a fortune on treating my loved ones, but with so much buying to do around the holidays, I set a budget for each person and do my best to find a thoughtful gift in that range. For as long as I can remember, Kohl's has been my go-to for Christmas gifts, because I can get a huge chunk of my shopping done without putting a dent into my budget. It's a win-win for all. 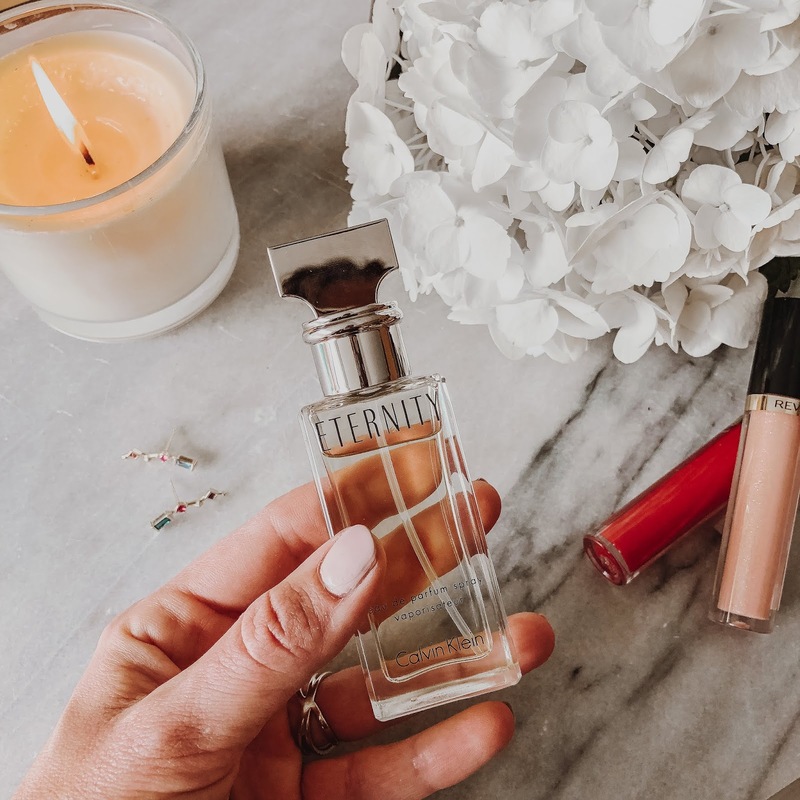 This year, I decided to pick up a few new scents for the special people in my life, and here's why you should give perfume for Christmas too. I used to be SO afraid to buy perfume/cologne for other people, because scents seem like such a taste specific purchase, but that all changed one day when Brandon told me he was out of cologne and asked me to select a new scent for him. I was like, "umm.... That feels like a lot of pressure!" But then he assured me that he actually wants me to pick it out because he wants to wear the scent that I love. I've also been on the receiving end of a perfume purchase before, and I cherished the time my sweet friend put into selecting the scent for me - cross-referencing notes she knew I loved. Scents have the power to trigger memories and story tell like no other gift can. 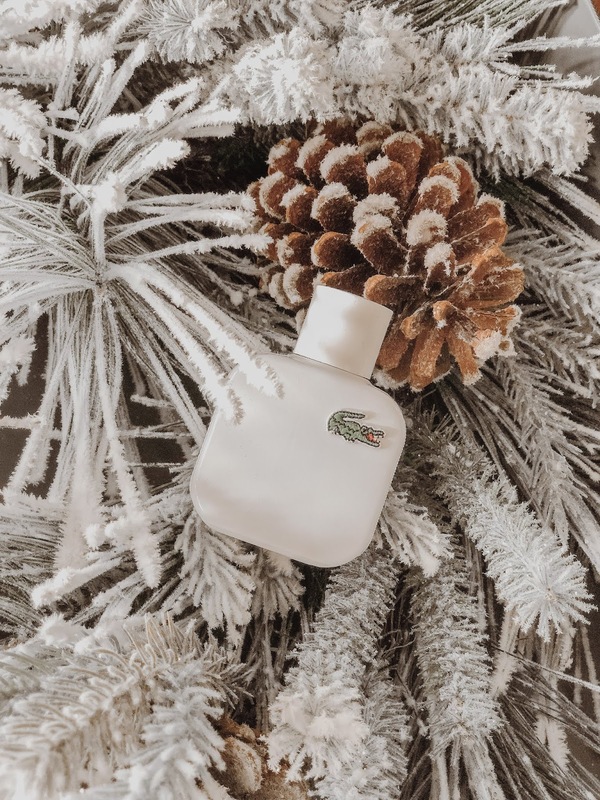 I selected this Lacoste Blanc for Brandon. It's a woody and clean scent - I feel like almost anyone would love it. Not too strong and not too specific...just masculine and casual and all the yum. I picked out the Calvin Klein Eternity for my mama. It's not a scent she's worn before, but there are so many lovely notes that reminded me of a few of her signature scents. It's a timeless and luxurious fragrance and I knew she would just love it. These scents were already such a bargain when I picked them up, but they are going to be on MAJ sale come Black Friday when fragrances go 20% off, which is awesome because I honestly can't remember a Black Friday when I haven't gone to Kohl's. If you've never checked out their beauty section it's awesome. Pick your perfumes up individually like I did, or check out some of their amazing gift sets. What are some of your favorite gifts to give around the Holidays? I always lover to give and get a new fragrance for a gift. So often you don't buy them for yourself. These are such great scents and yes they are a great gift! I agree :-) And your photos are stunning! I love this too. What pretty pictures as well. I love giving and looking for gifts too. Always have! Great idea dear. And I love your picks, especially the Calvin Klein Eternity. Thanks for sharing!